This is a bold claim to make, yes. However, when we examine the evidence available from professional scientific, architectural and engineering specialists, the copious flaws within the mainstream story become abundantly visible. The number of inconsistencies within the mainstream 9/11 narrative is overwhelming. When we look at these inconsistencies, we may begin to realize just how far removed from accurate observation the MSM was following the attacks. We may also find that the greatest challenge in communicating the truth of this story is not so much in finding evidence, but in convincing those who are heavily fixated and dependent upon MSM narratives that anything beyond the mainstream story is true. It is one thing to examine the inconsistencies in the mainstream version of the 9/11 attacks. However, it is not until we are able to step away from popular ideology and examine the story from a responsible analytical perspective that the answers begin to reveal themselves. When we realize the fact that many of the same inconsistencies exist in nearly all of the MSM stories of alleged false flags that followed the 9/11 attacks, we begin to realize the possibility that (1) false flag attacks are real and (2) they happen on a semi-regular basis in the U.S. and overseas. 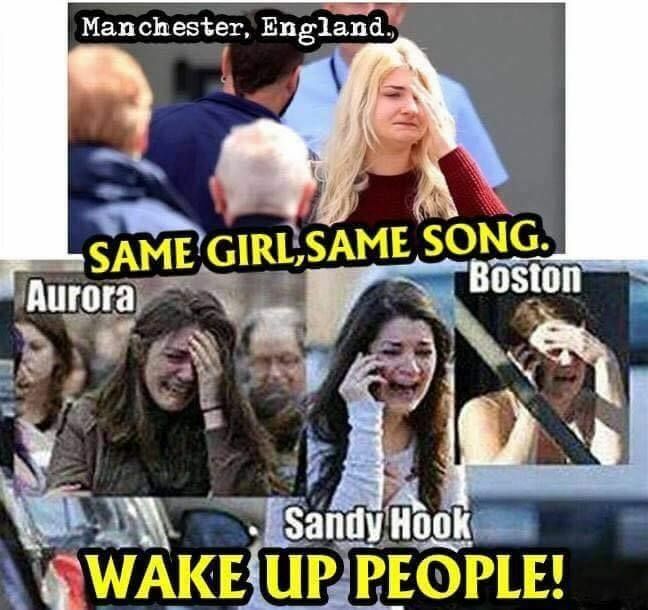 In fact, the similarities between these suspected false flags have become so well-known that many researchers have developed a list of telltale signs which commonly accompany these questionable events. The following list depicts a few of these characteristics. - A violent and highly visible event occurs and immediately receives blanket media coverage. - The evidence what would support the MSM narrative is either severely lacking, or absent altogether. - Drills are typically ongoing during the time when news claims attacks take place. These drills typically depict the exact same scenario which the alleged attacks are claimed to be. - A scapegoat is typically fingered as the lone culprit. Oftentimes, that scapegoat is found to have ties to the FBI, CIA, or other suspected agencies. - Investigations following the event are either incomplete or nonexistent. - The story regarding the event tends to change repeatedly. - Little or no practical response from authorities following the event: Public statements are common after alleged false flags, but actual preventative action prior to or following any alleged false flag commonly involves legislators attempting to strip Americans of their constitutional rights under the premise of protecting the people from future attacks similar to that of the event in question. - Law enforcement shows demonstrable failure to perform basic job duties prior to, during, and following an attack. - The public is left with numerous unanswered questions as the investigation is quickly closed and forgotten. - The appearance of the same people at multiple suspected false flag attacks seems to be common. These are just a few of the numerous oddities which can be symptoms that events surrounding any given violent event are not as they appear to be. In general, whenever suspected events occur, there tends to be a noticeable lack of investigative efforts as well as an absence of open disclosure of the investigation by the MSM. In addition, there is either a lack of any expert testimony in reports as well as a lack of effort to logically explain any aspect of these to the public. More often than not, the people are apparently expected to blindly swallow illogical and inconsistent narratives simply because the MSM declares them to be factual. 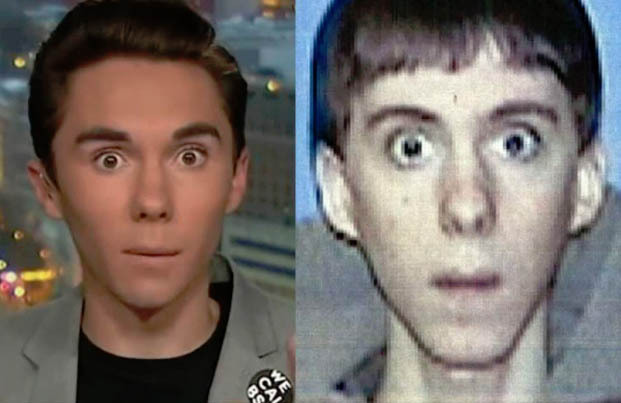 two different (alleged) school shootings are either related, or they are the same person. Additionally, there is an overwhelming effort by the MSM to censor reports and to control what the general public knows and what they don't. This censorship is typically visible in the behavior of the corporate media and in the consistencies or inconsistency of their reported subjects. With regard to nearly every suspected false flag attack, the corporate media was overtly and excessively inconsistent with the subjects they reported and the people to whom they gave attention. In a moment, we will discuss in greater detail, the various signs of censorship demonstrated in alleged false flag events. Right now, here is Anonymous News with a revealing expose of a number of under-reported details of the September 11th attacks. 9/11 really was the moment everything changed, in America and in the world. No, it wasn’t a moment where it became apparent that wars of aggression are necessary to quell some ever present malicious force of terrorism in the world, but September 11th was the moment that the oligarchy really had the justification necessary to hurl us into a totalitarian future, at speeds increasing with every event that justifies further growth of government and military expenditure. People who were adults or at least coming of age in 2001 can remember how that was the moment it all changed. As anti-war activist Brandon Turbeville pointed out, it was said on the Howard Stern show for example in the late 90’s that the concept of mass surveillance is ridiculous or paranoid. They implied it would never happen. A couple years later, the justification for mass surveillance happened. Almost 17 years after 9/11, and now mass, electronic surveillance is admitted to be reality by even average people. People who know how much of a turning point September 11th was may continue to go over the evidence and try to help others understand. Proof of this activist cause remaining alive despite so many years having passed since 9/11 can be found on Reddit Conspiracy, where recently a thread about this video gained some traction. In the video, which is supposedly a mainstream news broadcast on the 9/11 crashed jet UA Flight 93 that was never again aired on television (but to be fair, is a live broadcast ever aired again), the anchorwoman notes that there is very little debris from the crash. The video also claims that the anchorwoman was not reading from a teleprompter or script essentially, but in my opinion it sounds like she was: only half the time. However, that doesn’t detract from the reality of suspicious factors and holes in the official story on 9/11. At a certain point in the video though, the woman appears to be holding a script or something on paper and she is clearly speaking while not looking at it. It’s almost like her tone becomes more real and the reporting becomes more about her own opinion (which has a valid observation). Her observation was simply that debris isn’t really anywhere to be found. Remember, UA Flight 93 was a plane that supposedly crashed, not the ones on 9/11 that hit the towers. Then, in a Fox News clip in the video, another reporter comments that the site of the crash looks like nothing but “a hole in the ground.” This is an unusual observation for a plane crash, but they say it so nonchalant you wouldn’t think it means much unless you know some other disturbing things about 9/11. Some of us might remember witnessing these events aired on national television, and how we sat in fear and disbelief at what we were seeing. Now that the world has had a moment to look past the initial shock of the events of September 11, 2001 to see these reports for what they truly were, the truth about the attacks are beginning to shine through. Many Americans now believe that the attacks were perpetrated by elitist parties within the United States who intended to use the violence and death to ensure their own long-term profit goals. By using wars overseas, harsh control measures here in the U.S., and using fear as a tool for control, these elitists are believed to have planned a hostile takeover of the country and abolition of the Constitution. The die-hard skeptics may find these ideas difficult to believe. However, the notion that the U.S. has attacked itself in the past is not at all a fringe topic of discussion. On the contrary, this is a historical admission of American history. We might keep in mind that the FBI has openly confessed to creating fake incidents of violence and then presented them as real in order to justify more spending on defense and FBI programs. These false events have been numerous, according to research, and when we consider all of the claims by the FBI that various interests pose as an extreme threat to the people, it is important to remember just how corrupt this agency has confessed to being. Upon witnessing the pattern of tactics used by these elitists—a combination of creating fearful and violent events followed by demands that the people give up their rights in exchange for protection—it becomes clear that there are nefarious interests at work behind these tactics. There have been a number of these violent events in the past months and years which have demonstrated the same characteristics as those of the 9/11 attacks. Let's take a look at four of them. In December of 2015, it was reported by the MSM that two people—a man and a woman—opened fire in a populated area just east of Los Angeles, killing 14 and injuring 17 others. News reports commonly compared the shooting to the Sandy Hook incident in Newton Connecticut just months beforehand—another incident suspected of being a false flag. This was the mainstream version of events—a cut and dry, random act of violence by dangerous people who allegedly used an assault rifle to commit these acts of violence. But is this really the entire truth surrounding the situation? Immediately following the San Bernadino incident, the news sources began showing signs that a typical false flag was underway. Not long after reports came forward, it was learned that the shooting was premeditated. According to MSM reports, the incident was supposed to be the result of a random argument which took place after a party. However, reports claimed that there were multiple makeshift bombs planted in multiple locations exactly where the shooting occurred. According to researchers, this is a direct sign of a premeditated attack of some kind. Yet for some reason, the corporate media reported the events as though it happened in a spur of the moment. Another sign of the possible falsehood of this shooting was the fact that resident nurses at the adjacent hospital revealed that there had been so many shooting drills prior to the actual incident that the nurses were unsure if the reported shooting was real or not. 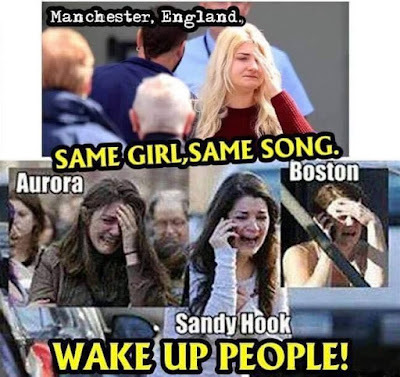 According to multiple accounts of false flag incidents, attacks commonly occur during the time of a known and ongoing drill. These drills are designed to simulate the very event that winds up being reported by MSM news, according to research. This happened in New York City on 9/11; it happened in Charleston, SC, at Sandy Hook, Parkland, and at a number of other alleged false flag attacks. Another oddity which some might recall occurred during news reports following Sandy Hook. We might remember the strange detail surrounding the alleged shooting that there were actually two schools that were named Sandy Hook. One was the real school which was closed down, the other was a fake school made to look exactly like the real one. It is disputed as to when the actual drills and shooting took place, but the MSM did report the fact that there was a fake school made to look exactly like the actual Sandy Hook Elementary. It was also interesting to see how clearly the MSM was intent upon targeting guns and gun laws as the main culprit which caused these shootings to occur. Both of these incidents indicated that behind the scenes, certain interests intended to paint constitutional rights as dangerous. 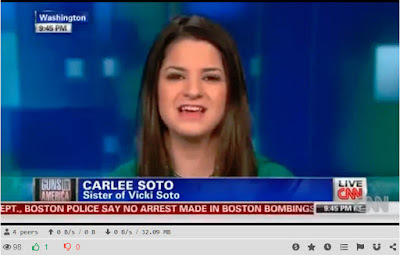 The infamous Boston bombing involved two brothers who were well-known by the FBI, according to mainstream reports. However, according to photographs and extensive evidence collected by independent researchers, the bombing involved far more coordination and manpower to pull off. According to research, the marathon event was heavily occupied by a team of military operatives who some researchers claim to be Special Forces. These apparent soldiers looked to be dressed in their typical and yet low-profile tan uniforms with boots included. Before the alleged bomb went off, these people showed signs of being organized and almost involved in what was going on. The event ended with police and military forces going from house to house doing warrantless raids supposedly to catch a terrorist which they themselves appear to have created. The fact that this event took place only a few years after the infamous Patriot Act was passed by George W. Bush caused many free-thinking citizens to question whether or not the suspicious bombing was yet another attempt at scaring Americans into surrendering their rights to a power-drunken government. If Special Forces or a military security detail were present, why did they fail to stop such a severe attack from taking place? Why did the FBI fail to keep up with known suspects if they were so dangerous? What is the purpose of staying so closely connected to known extremists when the agencies that exist to stop these extremists do nothing while violent events continue? And again, why is it that the only change which takes place after these events is when innocent American citizens have their rights permanently violated? By all appearances, the attacks on September 11th were designed in part by parties within the U.S. government at the time. 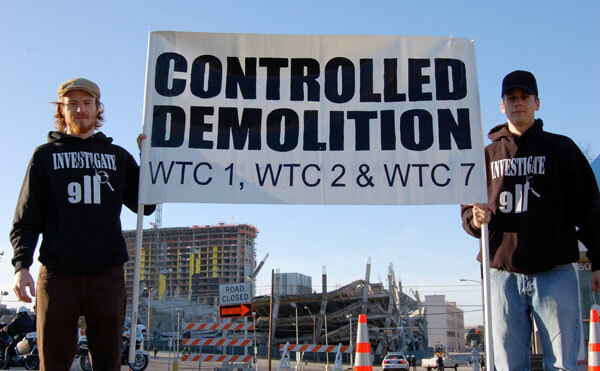 Considering the numerous and suspicious attacks that took place every few years (sometimes months) following 9/11, it seems that the collection of questionable attacks were used to convince citizens that their human rights needed to be dismissed in order to keep the country safe. In fact, it seems as though these events were deliberately orchestrated by American agencies for this very purpose. Due to the fact that we discussed the details of these two incidents in a previous post, we will keep the description basic for now. In short, these two shootings appeared to be orchestrated by the exact same parties with the same general setup for the same agenda. In both Las Vegas and Florida, men who were supposed to be right-wing extremists were claimed by the MSM to be lone gunmen behind these shootings. In both instances, the FBI habitually failed to investigate the would-be perpetrators of the shootings. This gross negligence on the part of the FBI seems to have repeatedly led to the murder of dozens of citizens. Yet the FBI was never investigated for this overt failure. Again, the blame was placed solely on the rights of Americans and those rights were seen as an enemy which needed to be eliminated. In both cases, we have seen the corporate media attempt to explain away all of the gaping holes in the mainstream stories of these attacks. Instead of receiving reliable contiguous explanations in each case, we received lip service, excuses, and diversion from reliable information. One of the key revelations was the strange fascist stance which the corporate media adopted when citizens began noticing and calling out the inconsistencies in alleged false flag attacks. In the case of the Parkland, FL shooting, social media platforms even began deeming disagreement with corporate media as hate speech and punishing users simply for thinking for themselves. This seemingly incriminating act by platforms such as Facebook and YouTube caused numerous citizens to doubt the MSM narratives of violent events even more. Just like the questionable narrative of September 11, the people were coerced into agreeing with a mainstream narrative that made virtually no sense whatsoever. Yet it was the fascist way in which the story was forced on the public that helped to awaken the people to the potential deception by leftist media and the political motives behind it. When we take all of these events into account, it becomes clear how common dishonesty and propagandistic manipulation are used by the corporate media and various questionable government agencies. With this in mind, let's circle back to the subject which connects all of these attacks and view the topic from a whistleblower's perspective. According to whistleblower testimony, the 9/11 plane crashes were highly suspect in that the planes allegedly involved with the event did not behave like airline planes at all. Retired Special Forces operative, Bill Brockbrader, gave an extensive testimony on a Project Camelot interview, in which he claimed that the reported plane crash which took place at the Pentagon building did not look like a plane crash. Brockbrader has been an aviation specialist for years among many other titles. His job duty in Special Forces was to guide Tomahawk Missiles to their targets after the first Iraq War. Due to his knowledge about the Tomahawk Missile system, Brockbrader is convinced that these weapons were used to stage at least one of the alleged plane crashes on September 11th. In the above video (at the 1:30:00 mark), Brockbrader states that the plane crash which supposedly took place at the Pentagon resembled the crater of the Tomahawk Missile much more than it did a commercial airliner crash. This is one of the many holes in the 9/11 incident which typically takes the eye of a specialist to identify. The presence of overt censorship—such as that which we all saw during each of these alleged acts of terrorism—can be clear red flags for the public to note. These act as signs that the corporate media and the establishment are intent upon manipulating the people via the confusion of false flags. During (and especially following) the attacks on 9/11, the media appeared to be picking and choosing which MSM reports were aired and which ones were not. The above post is one example of a report which was censored from the main news narrative, and it is actions such as this which show us that the corporate media only intendeds to report a certain portion of the truth. Any report regarding the 9/11 attacks which revealed the possible neglect of the U.S. government and military, which involved the apparent preparation by the CIA for the attacks, and the actual planning of these attacks by White House officials were systematically removed from news reports. If any report contained this or any information which revealed more than the establishment wanted people to know, these reports were buried, and after that point never saw the light of day. Following the attacks on the Twin Towers (and Building 7), independent and professional researchers successfully debunked the official 9/11 narrative and proved that skyscrapers could not be taken down in the way they were using jetliners alone. This study was later confirmed by the mainstream scientific journal, Europhysics News, and was actually peer-reviewed—verifying the falsehood of the mainstream explanation of the attacks. As these events progressed over time and became more and more shocking, it seemed the demand for citizens to give up their rights intensified as well. Eventually, we came to the Mandalay Bay shooting. However, by that time, Americans were aware enough not to take that event for face value. Perhaps it was the Vegas attack which awakened so many Americans to the MSM's lack of interest in revealing the entire truth. The public had suspected terrorist incidents to be false flags in the past, but never before were authorities and the media so overtly partial and disinterested in completing a serious investigation than after the Vegas incident. The shooting was claimed to be the worst mass shooting in recent American history, and yet neither the police nor the FBI seemed to have any interest in learning why it happened. After Vegas police and the FBI botched the first investigation, the U.S. was hit with yet another overtly similar shooting at Marjory Stoneman Douglas High School in Parkland, FL. This shooting involved the exact same weapon with the exact same modification with a very similar lone gunman who was also conveniently ignored multiple times by the FBI, just as in Vegas months before. To add, in both of these cases, the witnesses whose testimonies did not match the questionable narratives of the FBI were also ignored and marginalized by the MSM. In the case of Parkland, the corporate media claimed that the testimonies of the students were of the utmost importance. Social media platforms claimed to consider student testimonies so valuable that they began deleting every user who contradicted them. Yet later, the public learns that the entire ordeal was nothing more than a ruse designed to sell a questionable story to the public rather than delivering the entire truth of the matter. The MSM reports actively ignored students that did not agree with the mainstream narrative. While students that appear to have been hand selected and coached by corporate news sources, real students were being straight-armed and prevented from being heard by corporate media. The entire ordeal—in both Parkland and Las Vegas—reeked of censorship, overt hypocrisy, and political agenda. Over time, since the early 2000s, people have grown wise to the tactics of the corporate media. According to research, the establishment has a very clever way of hijacking any social change they desire to their own advantage. The tactic known as the Hegelian dialect has been used for thousands of years to create social change to the advantage of the elite. This tactic—more simply known as problem-reaction-solution—involves the establishment creating or falsifying a problem. They then socially engineer a reaction in order to make it appear as though the response were coming from a grassroots level. Then the elitists will propose a solution to the same problem which they created. However, the "solution" doesn't really solve anything for the people, but only serves the interests of the elite while harming the lives of the general public. This exact same method has been used since long before the attacks on the Twin Towers and was actually used in the attacks toward the advantage of the elite and the Military Industrial Complex to further corporate profits overseas. It was not until 9/11 that many people began to wake up to the fact, and to the true scale of social engineering by the elite. These incidents were extremely tragic, not to mention completely preventable, had the FBI been about its job. However, these incidents did serve to awaken the American people to the true intention of nefarious interests who have been working behind the scenes to undermine freedom in the United States since long before 9/11. Though the attacks on WTC 1, 2, and 7 were extremely tragic, it may have been these attacks which actually catalyzed the greatest awakening in modern American history. In this way, it appears that the Deep State/Cabal outed themselves and provided the public the conscious awareness to defeat these malevolent parties at their own game.